Mr Nathaniel Straker was born on the island of St Vincent in 1907 and migrated to Trinidad where he lived for most of his adult life. 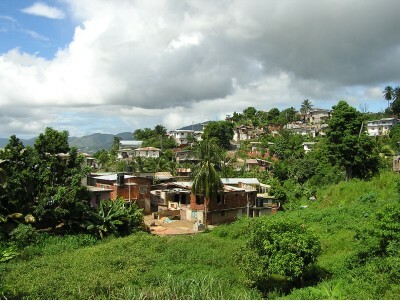 A village, west of Fort Picton in the hills of Laventille, is named after him because of the contribution that he made to building the village. The Eastern Quarry and Jeremy Quarry are situated in Picton hill to the east and west of Fort Picton respectively. In the 1930s and 1940s these quarries were very active and employed a large number of people. Nathaniel Straker was employed at one of these quarries during the height of their operation, but he subsequently left this job and was later employed with a maintenance crew at White Hall. Many of his friends also migrated from St Vincent and worked at these quarries. Employees of these quarries naturally attempted to find accommodation close to their work and many of them lived in the hills surrounding the quarries. Nathaniel Straker often used a footpath that led from Jeremy Quarry to visit his friends who lived higher up the hill. He noticed some land bordering Jeremy Quarry to the east, that was covered with bushes, and thought it was a nice place to build a house. 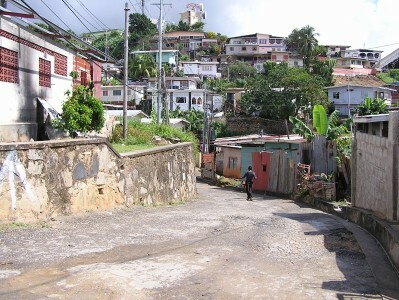 He eventually built a small house on this spot and brought his wife from St Vincent to live with him. Christiana Robertson, a friend of Nathaniel Straker, was also born in St Vincent and migrated to Trinidad. In 1953 she was facing eviction from an apartment and explained her situation to Mr Straker who eventually invited her to build a house on the hill next to him. She agreed, and Mr Straker sourced materials and began erecting the structure. The land on which Mr Straker built his house belonged to the state, but other people were also claiming ownership of the land. When they observed that he was building another house on the land for his friend, a heated confrontation took place and Mr. Straker was chopped about the body several times. The state authorities were also informed about the new house that was being built and a demolition crew was sent to the site. They destroyed the partially built structure. At this point Miss Robertson was still in need of a home. She observed that the demolition crews worked mainly during the week from Monday to Friday, so she decided to start rebuilding her house with the help of Mr Straker on a Friday evening. By Sunday evening she moved into the house, using sheets to cover the door and window openings as there was not enough time to attach completed doors and windows. The demolition crew appeared the next week with sledgehammers to break the house once again, but this time Miss Robertson was already occupying the house and she explained to them that she had no where else to go. In addition, the demolition crew observed that she was in the middle of her pregnancy, so good sense prevailed. The crew left. However, a few hours later the crew came back to the house and Miss Robertson thought this time she would not be spared. She went outside and noticed that the crew had pieces of galvanize and wood, and they proceeded to help her build doors and windows for her new house. That afternoon, after Mr Straker came from work, Miss Robertson explained what had happened during the day. They were both very relieved. From this beginning Miss Robertson worked and replaced this first structure with a more comfortable house. The history has remained in her heart, and a tremendous bond remains between her family and the Straker family. 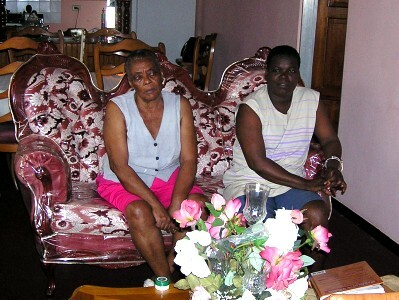 Subsequently other families began building houses close to Mr Straker and the community expanded. Mr Straker was always willing to help his new neighbours construct their homes while he continued to improve and expand his own, transforming it from its original humble beginning. Mr Straker also had knowledge of herbal medicines and would freely share this with his neighbours. He took great pride in upkeeping his surroundings, and is best remembered for this. He would regularly clean around his house, the houses of his neighbours and the road leading to these houses. 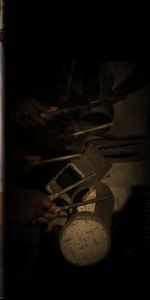 His favorite tools were a cutlass, a shovel and a broom. 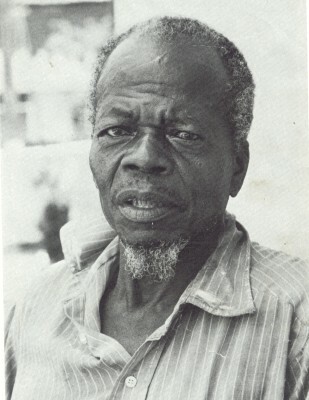 In his later years he got a job to clean the surroundings of a school in East Port of Spain and many more people were impressed with his work ethic and natural abilities. Mr Straker remained active in the community throughout his years and participated in a successful petition to the first Prime Minister of Trinidad and Tobago Dr Eric Williams, to have title deeds conferred to members of the community. As the community grew, he and other members decided to build a community center. They pooled money and initiated other fund raising ventures. The community center was eventually constructed on a plot of land opposite to his house. Because of his prominence in the community, his house became a landmark and a reference point when giving directions. Using Mr Straker as a reference to navigate the area continued for many years until the whole community surrounding Mr Straker's house was formally called Straker Village. After many years of building the community, Nathaniel Straker died in the year 2000. 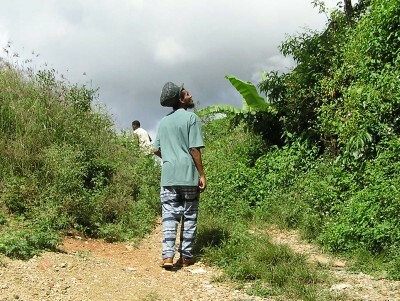 Mr Reynold Murphy, a resident of Straker Village, said that he is proud to have known Mr Straker and claims he is continuing the legacy by personally ensuring that the surroundings of the village is kept clean. Approximately 50 years from the time Mr Straker, settled on the land, Straker Village is very different, with houses constructed where there was once only brush. Miss Robertson, one of the earliest Straker Village residents, laments the lack of historical links from the past to the present. Most newcomers have little or no knowledge of the history of the community. Nathaniel Straker's contribution took place despite the many immigration laws and passport restrictions that impede the free movement of ordinary Caribbean people among the islands. These immigration laws contribute to false ideas of superiority and inferiority. People living in the 'richer' islands assume they are better than those from the 'lesser' developed islands. Ordinary people from other Caribbean islands who attempt to settle in Trinidad are faced with some hostilities. There are many ordinary Caribbean people who have migrated to Trinidad and made valuable contributions to building this country. These contributions are not often highlighted, and many obstacles still remain with respect to the movement of Caribbean nationals among the islands.